I am having an issue. 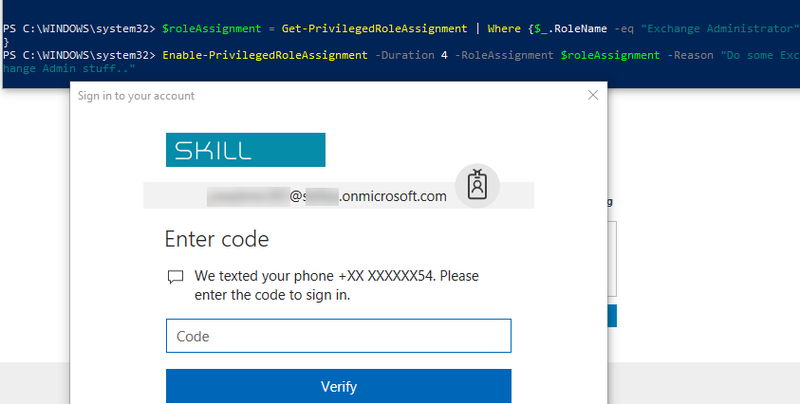 Get-PrivilegedRoleAssignment is not giving any data even though in the portal I can see many eligible roles for me. Can you please help me in explaining this. Can you verify that you have connected til PIM with the correct user, by running Show-PimServiceConnection? Hi, great article thank you – max time here is 2 hrs, how do you specify 2 hrs under duration? I can’t get it to accept it, thanks! Hi Chris and thanks. 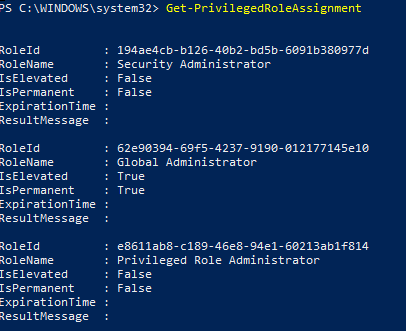 You will have to go to the Azure Portal, and under Home | Privileged Identity Management | Azure AD directory roles – Settings | Roles, and from there either set a default max duration settings for all roles, or for each applicable role individually. Hey Jan, great module. Is there any chance you could share the source code for this module. Thanks. 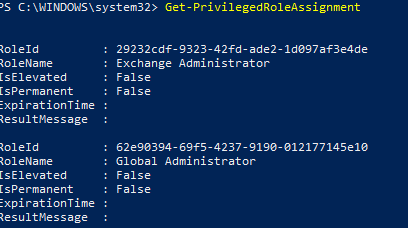 I noticed if I do just connect-pimservice -credentials $admincred it logs in but without the username in the credential object (I used the same $admincred to connect to azurerm successfully). So I tried to use both -credentials and -username but it will not take both (see error below). Connect-PimService : Parameter set cannot be resolved using the specified named parameters. Hi Jan, nice article and thank you! Question, I am not experiencing exactly the same behavior when Enable-PrivilegedRoleAssignment. I am being prompted to login again (even after completing connect-pimservice) and then completing second factor challenge. How can I bypass the second login? I have a hybrid on-prem-azure-ad environment and use Azure MFA. When I execute Connect-PimService, I am redirected to my ADFS to authenticate and do not get an MFA challenge. 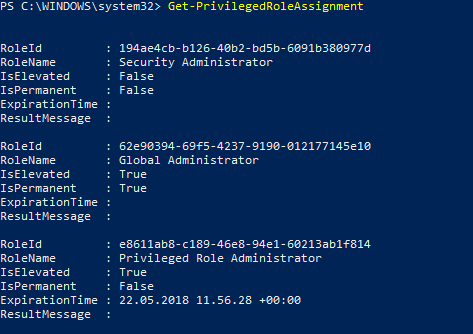 When I subsequently execute Enable-PrivilegedRoleAssignment, I am again redirected to my ADFS to reauthenticate and this time I get an Azure MFA challenge. How can I prevent the double ADFS username/password challenges? Is there a way to force MFA on the initial Connect-PimService call? Can I target this “app” with a CA policy requiring MFA? That article looks like a good match. Looking at my Fiddler trace, I do see wfresh=0 in both calls to ADFS. Alas I am running ADFS 2.0, so the prescribed fix won’t work for me. Its flaking on the last bit…any ideas? I am definitely getting the show-pimserviceconnection but I get null on Get-PrivilegedRoleAssignment. Can you please tell me what’s going on? This module has not been updated in 6 months, has it been depracated?